Stuart & Partners is a family-run letting agents with offices in Haywards Heath and Hassocks, which offers 30 years experience of solely lettings, and prides itself on offering an outstanding personal service. We provide an unrivaled service for both property owners with property to let out, and tenants looking for a house or flat to rent. “Personal service tailored to the individuals needs” is our company’s special appeal, with tenants continually returning to either rent or become landlords themselves. We feel that this is the best compliment Stuart & Partners could have. The Letting Team all live locally, backed by local trades people, and with expansive press and media campaigns do provide the number one service for letting in Mid Sussex. To ensure that your property needs are looked after to the very highest standards, contact us and we will be pleased to give you advice on letting your property or becoming a tenant. With branches in Haywards Heath and Hassocks we serve Burgess Hill, Hurstpierpoint, Keymer, Cuckfield, Lindfield and all other surrounding villages in mid Sussex and West Sussex. 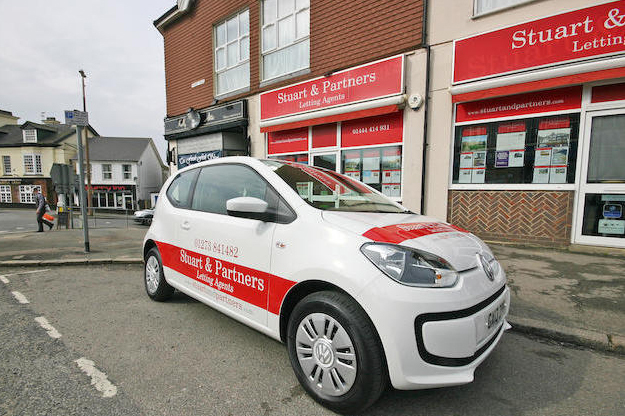 We can be contacted by either email info@stuartandpartners.com or by phone on Haywards Heath 01444 414 931 or Hassocks 01273 841 482 and one of the Letting Team can arrange an up to date valuation on your property if you are a Landlord, or a viewing if you are a Tenant, or maybe you would just like some advice on letting. Valuations, viewings and advice are without obligation and are free of charge.